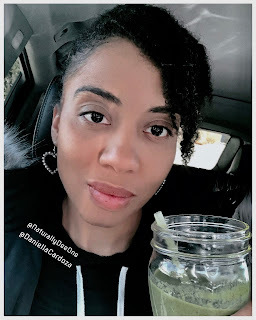 To break my fast (aka breakfast), I drank a green smoothie, which I always look forward to. Click here for the recipe. I was busy for most of the day. The citrus water kept me in check so I'm going to keep drinking it. If you enjoy my food blogs, please let me know. Next Friday, I'll have my raw coconut wraps so I'm looking forward to sharing that experience with you. Until then, talk soon. Much love! P.S.--my natural hair is currently loc'd. I started my loc journey in July 2018. Hey, it's Dee! 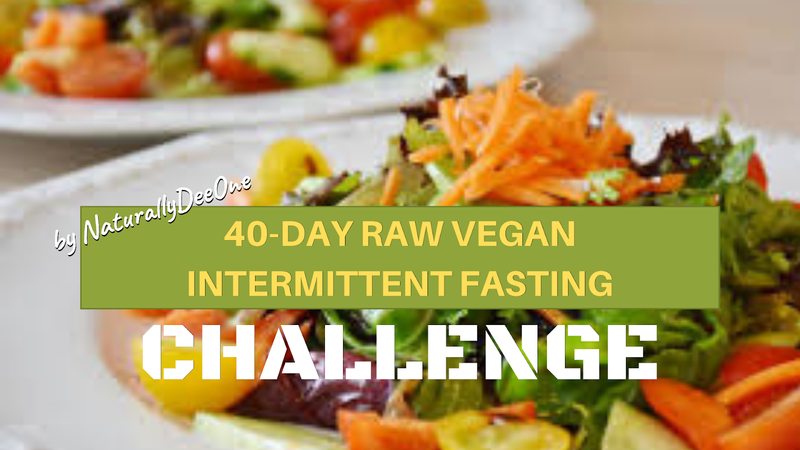 As you know I'm still doing this 40-Day Raw Vegan Intermittent Fasting Challenge. A few of you on Instagram said you want to go raw vegan, but you don't know where to start, so let's start with 3 literally green meals. Keep in mind, I'm a vegan, not a raw vegan. After the 40-Day Challenge, I will be incorporating some cook foods back into my diet. Directions: Put everything in a small mixer, like a NutriBullet, and blend for up to 3 minutes. Directions: Put all ingredients in the Vitamix starting with the cold items first and ending with the liquids. Blend on smoothie setting of Vitamix. This meal can be eaten for lunch or dinner. It's a nice, rich, healthy salad with homemade avocado and cashew dressing. Eat as much as you want, but don't overdo it with the avocado and nuts. Directions: Put the avocado, cashews, liquid, and seasonings into a small mixer, like a NutriBullet, and blend for about a minute. Keep adding more liquids if you want it to be thinner. Add the avocado sauce to your salad. Our last meal is going to be a spiralized meal. Spiralized meals are a great way to add a different texture or style to an otherwise boring fruit or vegetable. Plus, with a great sauce, they're delicious. You can make them colorful, but for the sake of this blog post, we're going to keep it green. Directions: spiralize your cucumber or zucchini and set it aside on a plate. Mix all the other ingredients together in a small mixer, like a NutriBullet. Add more cashews if you want it to be creamer or add more water if you want it to be looser or waterier. That's all I have for you today. I truly hope you enjoy your green, raw vegan meals. Please don't forget to support my project at www.HerStolenTears.com. Thank you!